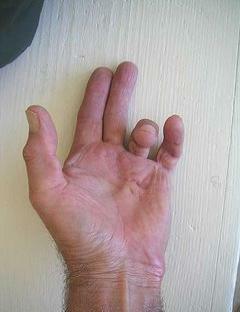 Dupuytren's Disease - What is it? Baron Guillaume Dupuytren first described the disease in 1831. (PIP) and/or distal interphalangeal (DIP) - that interferes with use of the hand should be released. The sooner this is completed, the better the functional outcome. There is no cure for this disease. 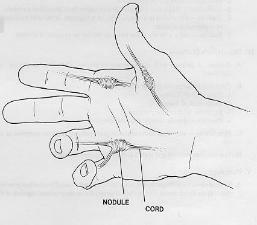 Dupuytren's disease may reoccur after both NA and surgery (about 50% of patients experience recurrence of the disease within 2 or 3 years). Treating recurrent disease after NA is easier than after open surgery. few. The expense is considerably less than surgery. needed, often weeks or months. dissection is performed to facilitate release.